I know I know, I have been in your face recently! It's because I am currently living it up on my Canada Day long weekend!! It's weird having time to read, and then on top of that having the ability to write about what I read. So much time, I don't know what to do with it! I'm going to stop rambling and just jump into my review! 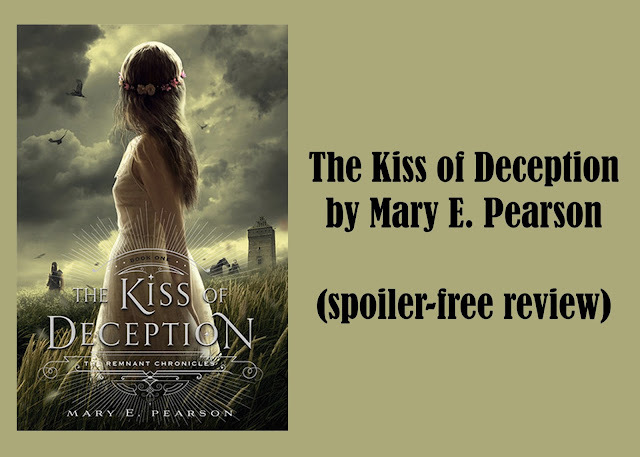 As you could have seen, this review is for The Kiss of Deception by Mary E. Pearson. This novel is a very popular novel that everyone and their mother seems to have read and I am not surprised that they all loved it. Lia was kind of boring at the beginning of this novel. She had very minimal personality and I found her point of view lame and didn't really want to read it. That was until halfway through the novel where she decided to actually get a personality and do things other than be a lifeless body. I wish I could touch upon what made me love her more, but unfortunately that would ruin half the book for you readers and I really would not like to do that. As for the two guys. All I have to say is I didn't like either of them until later on and I also can't mention why because that would also ruin the story for you guys! This novel was a huge surprise for me. I had a hard time passing the 200 page count. I had to put the novel down several times because I honestly was so bored and couldn't continue on with the plot. Let me just say, if you have any doubts about this story, please don't stop the series until you have finished the entire novel. It really does pick up during the second half of the novel and it was actually shocking how much more I liked it later on in the book. 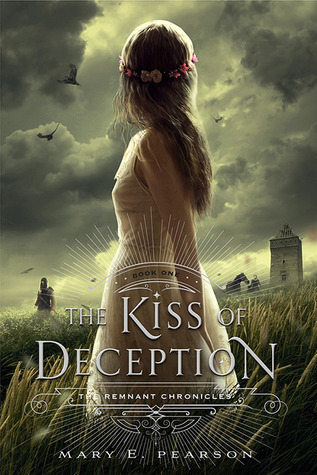 Additionally, I also did love the side plot of the reader trying to figure out which boy is the prince and which is the assassin. It was interesting and kind of fun trying to figure it out. Hint hint, it was not who I expected it to be! That concludes my review for The Kiss of Deception by Mary E. Pearson. I promise you that if you're halfway through this book like I was and are starting to think that this novel might not be for you, please, please, just finish the novel! It was a great surprise for me and I'm sure the other half of this novel will surprise you too! Please comment down below if you have read this novel and what your thoughts were about the first half of the novel as well as how you liked not knowing which boy was whom.